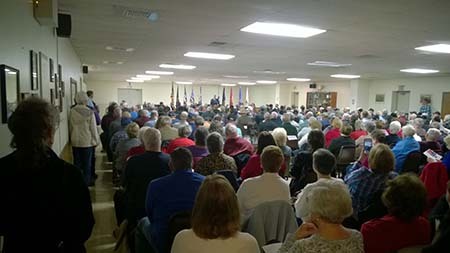 More than 200 area Vietnam veterans were recognized Wednesday at a National Vietnam Veterans Commemoration Pinning Ceremony at Selinsgrove VFW Post 6631. It was an honor to be in the presence of these brave men and women who sacrificed so much for us and for our country. The Pennsylvania Fish and Boat Commission (PFBC) will again host a Mentored Youth Trout Days to help future generations develop an appreciation for fishing. On Saturday, April 7, beginning at 8 a.m., participants can fish in any PFBC-stocked trout water. Kids can keep two trout, which must measure at least seven inches. Because the program is focused on kids, adult mentors are encouraged to fish with the children and provide encouragement and tips, but they must release their catch to the water unharmed. Last year, more than 30,000 people participated in Mentored Youth Trout Days. The statewide opening day for trout fishing is Saturday, April 14. Regional opening day is this Saturday, March 31, in some counties to our south and east. Click here for the list of counties. Distracted driving is anything that causes you to take your attention away from driving, take your eyes off of the road or take your hands off of the wheel. Using a cell phone while driving increases your risk of a crash by four times, whether or not it is hands free. The simple act of dialing a phone increases your crash risk by three times. Sending or receiving a text, which is illegal in Pennsylvania, takes a driver’s eye off the road for an average of 4.6 seconds. When traveling at 55 mph, that’s enough time to travel the length of a football field. Drivers using cell phones look but fail to see up to 50 percent of the information in their driving environment. And it’s not just cell phones. Eating, drinking, smoking, adjusting the radio, personal grooming and passengers are all distractions too. According to a recent AAA study, six out of 10 teen crashes were caused by a distracted driver. AAA also reports that distraction contributes to more than 5,000 crash fatalities each year. In Pennsylvania, there were 16,050 distracted driving crashes in that resulted in 69 fatalities during 2016. 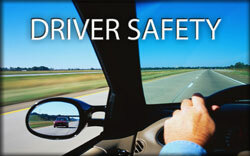 Motorists are urged to pay attention when you are behind the wheel and just drive.